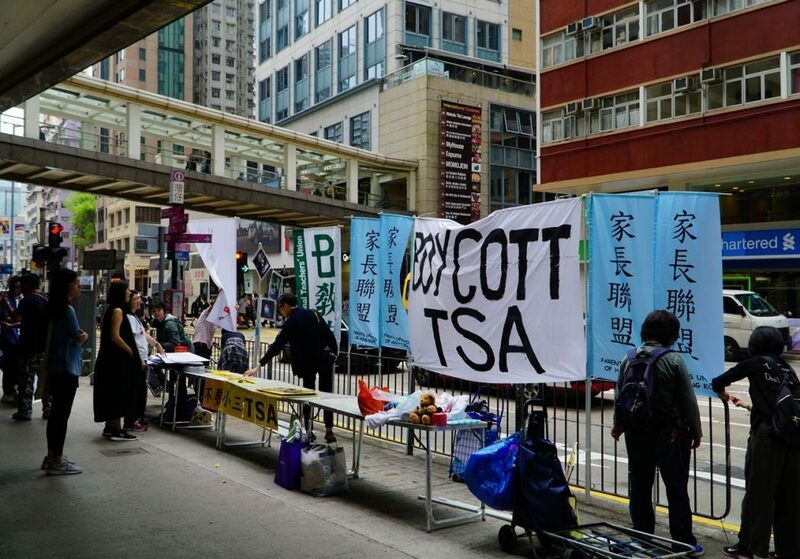 Citizen-led Parents United of Hong Kong has vowed to launch a boycott campaign against a controversial school test policy, which is set to begin rolling out at around 500 schools in less than a month. The parents group said at a media session on Wednesday that it will “almost certainly” go ahead with the plan. It urged parents to join the call and promised to escalate the campaign by publicising schools that take unreasonable measures and reporting them to the Education Bureau. An alliance of more than 100 civil groups is running a street canvassing campaign. File Photo: Parents United of Hong Kong. It said some schools have already expressed a willingness to offer alternative arrangements for students who do not wish to take the tests, such as self-study sessions, but they do not want to publicise it fearing repercussions from the Education Bureau. 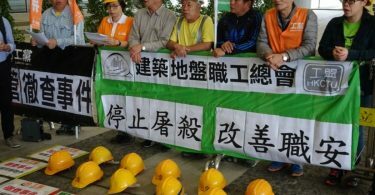 The boycott campaign has the backing of lawmakers from across the political spectrum, including pan-democrats, independent lawmaker Michael Tien and pro-Beijing lawmaker Regina Ip. However, the pro-business Liberal Party and pro-Beijing Democratic Alliance for the Betterment and Progress of Hong Kong (DAB) have yet to join in. 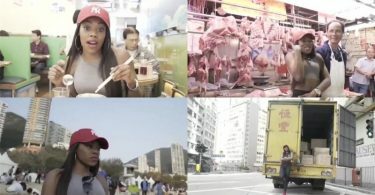 The campaign is also supported by more than 100 civil groups representing various walks of life, including students, educators, lawyers and other occupations. On Wednesday, the advocates criticised DAB lawmaker Ann Chiang, who chairs the legislature’s Panel on Education, for postponing a public hearing on the issue while allowing the Education Bureau to invite people on their own to attend legislative meetings. The parents group and lawmakers who support the boycott alleged that Chiang was being biased. They demanded a public hearing be held at the legislature this month. 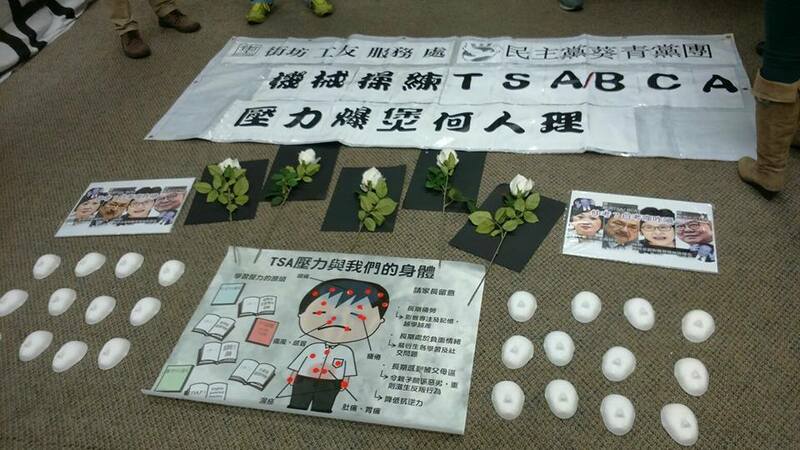 “Impact of TSA-related stress on our bodies” poster and items commemorating students who ended their lives. File Photo: Parents United of Hong Kong. The test system in question is the Territory-wide System Assessment (TSA) and its revamped version, the Basic Competency Assessment (BCA). The government uses the test results to review its support for schools. As a result, schools often give students intensive homework drills out of fear that low test scores may affect their funding from the government. The Education Bureau recently announced that it would reintroduce the tests for Primary 3 students in public schools in May. All 470-plus public schools and around 20 private school will be participating in the programme. The parents group said some schools have already given a large amount of homework to students in preparation of the tests. Pro-democracy lawmakers Ray Chan and Ip Kin-yuen have promised to table a motion to cut government funds allocated to re-introducing the TSA. Ip’s office said the lawmaker will also put forward a motion to give Secretary for Education Eddie Ng a salary cut.